25. Limit nutrient runoff from your yard. I grew up in a suburb of Chicago intersected by Addison Creek. In the 1950s and 1960s, so many nutrients, especially phosphorus from detergents, poured into our sewers that the creek was dangerously polluted. As the water got churned up by a local dam, suds foamed up. On windy days, masses of suds floated through the air, often passing over my yard three blocks from the creek. Plants require phosphorus and other nutrients to grow, but when nutrients become too concentrated in the soil, they cause “fertilizer burn,” which can kill lawn grass. In my Duluth, Minnesota, neighborhood, many lawns treated by commercial lawn-care services appear brown by midsummer because they’ve been overfertilized. And even when a liquid fertilizer is applied at lower levels, much of it runs off or seeps through soil to contaminate open water and groundwater. When nutrients become too concentrated in lakes, rivers, streams, and ponds, aquatic plant growth can become so dense that leaves on the surface keep light from reaching more than a few inches underwater. The oxygen produced by these overgrown plants is limited to the water’s surface, while at lower depths, dead leaves and plants decompose, depleting dissolved oxygen in the water. Few aquatic insects and fish can survive in oxygen-depleted water, but mosquitoes flourish because they breathe via an abdominal tube to the surface. In my own childhood town, the creek was an ugly shade of brown, smelled bad, and supported only a few bullheads and crayfish. My friends and I could find no ducks, geese, or gulls swimming in it. But mosquitoes flourished despite frequent DDT spraying. During that same period, Lake Erie became so eutrophic that it was considered a dead lake. The level of phosphorus in laundry detergents was significantly reduced in the 1970s, but dishwashing detergents were left unregulated, and excessive fertilizer use continued to grow. In the ocean, when nutrients become too concentrated and change the water chemistry, they affect the timing of the availability of plankton, or even destroy it. Plankton is the very foundation of the ocean’s food web. Nutrients originating from heavy use of agricultural and landscaping fertilizers, vehicle and factory emissions, and agricultural, pet, and human wastes work their way into fresh water and ultimately find their way to the sea, where there are now nearly 150 dead zones. These dead zones are increasing, and they pose as great a threat to fish stocks as overfishing, according to the United Nations Environment Program (UNEP) in its Global Environment Outlook Year Book 2003. And the effects of nutrient runoff are exacerbated by rising ocean temperatures. 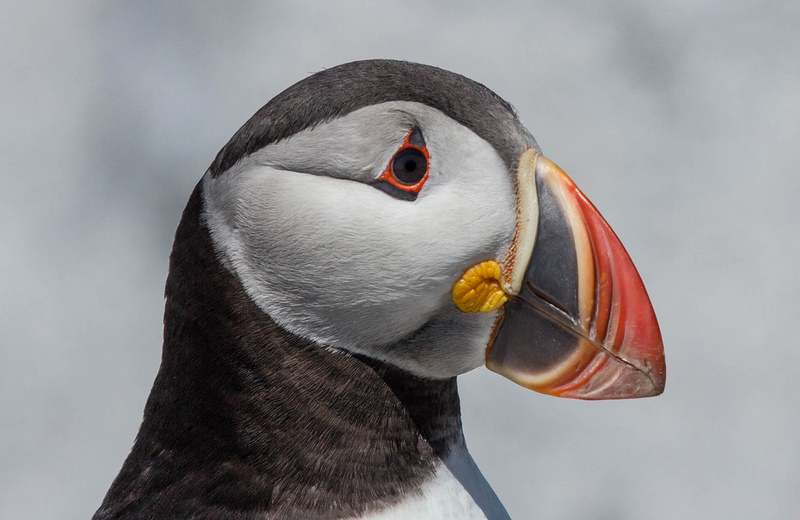 In 2004 there was an unprecedented decline in seabird nesting on islands in the North Sea and Bering Sea due to a crash in the sand eel population. Sand eels are small fish that provide food for cod and birds and in turn depend on plankton. In 2004 the sand eel population disappeared from vast areas of the northern seas. Dead zones have doubled in number over the last decade, with some extending over 27,000 square miles (about the size of Ireland), according to UNEP. 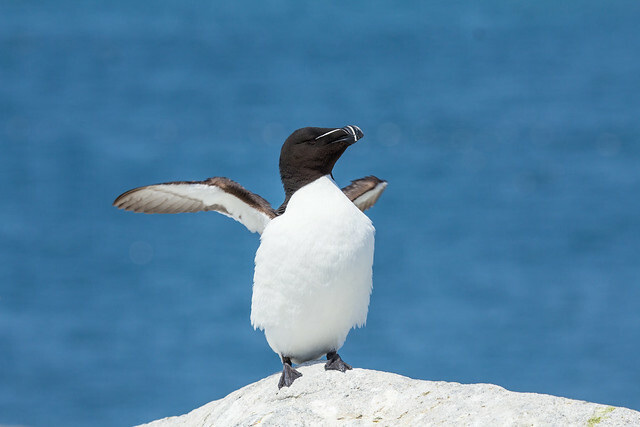 Fish-eating ocean birds, from razorbills and puffins to albatrosses and shearwaters, depend on healthy fish populations, as do human beings. As with so many other environmental issues, protecting our fresh and ocean water supplies from excessive nutrients is as important for us as it is for birds. Spreading compost or a slow-release organic fertilizer can provide lawns and gardens with the same nutrients as liquid commercial fertilizers but at a slower, safer rate. Compost conditions and holds moisture in the soil, decreasing runoff and allowing plants to withdraw greater amounts of nutrients and toxins before seepage reaches groundwater. And plants growing in well-conditioned soil require less watering. Nutrients from pet waste, piles of leaves, and sump pumps and detergents from washing cars and boats can also fun off lawns and driveways when we aren’t conscientious about the problem. It’s important to place compost bins or piles where seepage is least likely and to dispose of pet waste in garbage (where it will end up in a landfill) or to bury it where seepage is slowest. One beautiful way to both help wildlife and protect storm sewers from excessive nutrient runoff is to build a rain garden—a shallow depression in your yard with native flowers and grasses selected to quickly soak up rainwater and melted snow from downspouts, driveways, and sloping lawns. Water soaks into the soil and replenishes groundwater rather than adding to runoff. Consult the Internet or gardening books to find the best plants and positioning for rain gardens in your area. You can also get tips for reducing nutrient runoff from your municipal water provider, sewage treatment facility, university extension service, and environmental organizations.